Candles, comfy socks and a throw, good company, maybe a little wine or cocoa ... gotta cultivate that hygge. Hygge is a Danish cultural concept and value of warm, happy coziness and togetherness, which people make time for in everyday life. Outside of Denmark, hygge is commonly referred to as "the good feeling you get from a well-curated, cozy, and aesthetically pleasing environment." Summer is far worse than winter. Winter has no humidity, better clothing, Christmas, and hygge. Don’t @ me. The most striking thing about hygge, though, might be how its proponents tend to take prosperity for granted. All the encouragements toward superior handicrafts and Scandinavian design, the accounts of daily fireside gatherings and freshly baked pastries assume a certain level of material wealth and an abundance of leisure time. Where does hygge come from? 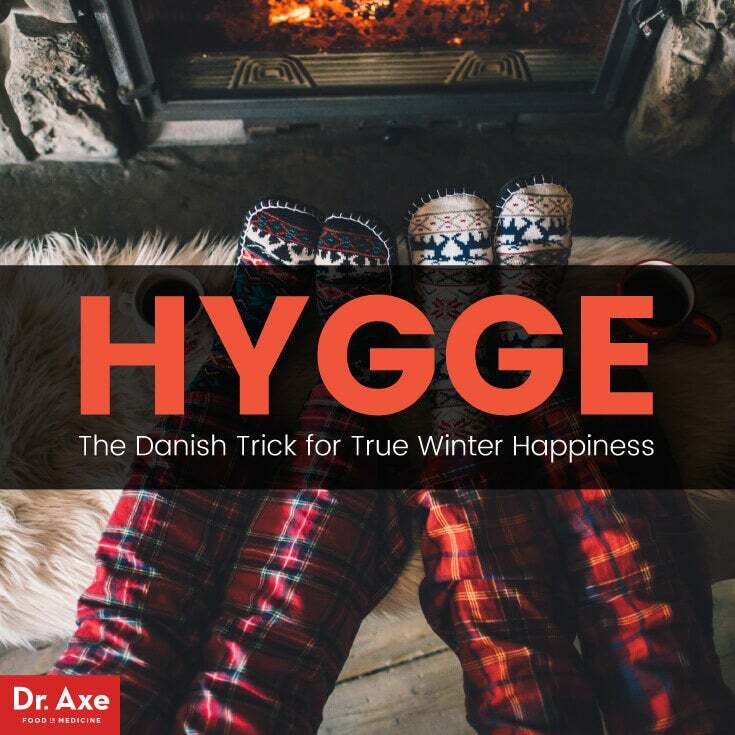 The Danish hygge might derive from Old Norse words meaning “mind” or “embrace” (which could make it related to the English hug). The word has similar meanings in Norwegian but is much more central to Danish life and identity. 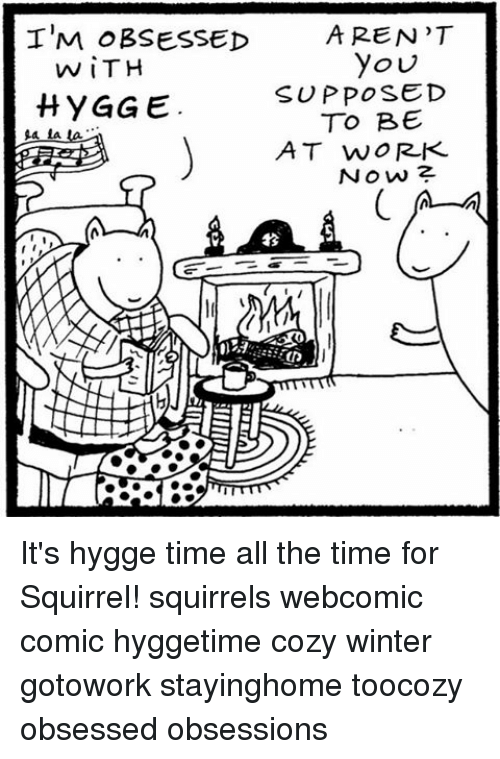 Hygge—as the “art of coziness” (how the word is sometimes translated)—is recorded in Danish texts in the 19th century and has since become an important feature of life there. Hygge can be small, like snuggling into your favorite Netflix show before bed with an aromatic candle. Or, it can be bigger, like trading old stories with friends over some pints on a winter’s night. And it pays off, apparently, as the Scandinavian countries are ranked among the world’s happiest year after year. 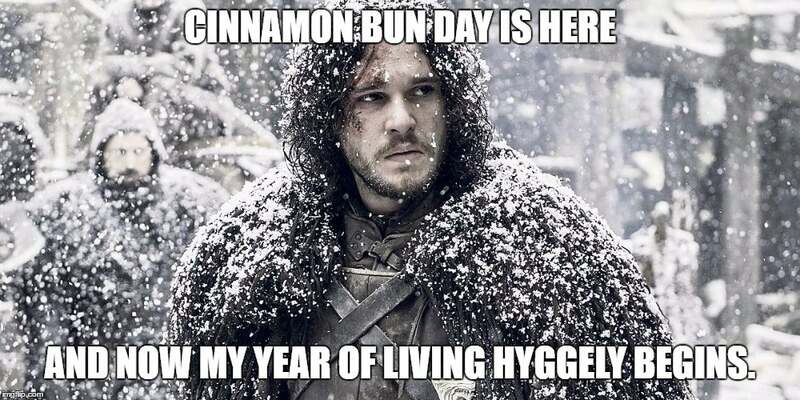 Hygge went veritably viral in 2015–16. This was helped along by the fact that there isn’t a direct translation of the term, lending it an air of a “secret to happy life” or “life hack” outside of Scandinavia that we couldn’t get enough of. Publications from Country Living to The Telegraph UK ran articles discussing hygge and how to cultivate it with candles, socks, and blankets—perhaps missing the point that the spirit of hygge is really about making some quality time for friends, family, and self, rather than working, interneting, and thing-ing 24/7. 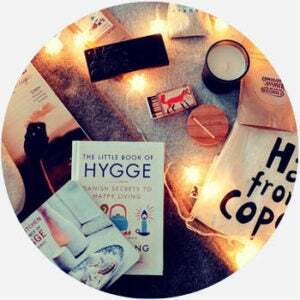 Authors capitalized on the trend with 2016’s The Little Book of Hygge by Meik Wiking and Hygge: The Danish Art of Happiness by Marie Tourell Søderberg. Even the Tony-winning 2017 Broadway musical Frozen, based on the Disney film, had a song about hygge. Perhaps hygge had gained so much popularity in the US and other Western countries in 2016 due to societal stresses, including political upheaval, multiple mass shootings, and the death of multiple beloved public figures. Where’s the harm in wanting to feel togetherness and warmth during all of that? The harm may be, according to cultural critics, that really only the wealthy have the time and money for hygge. Hygge‘s use is nuanced, even though the general concept is relatable. In Danish, hygge is the lifestyle of contentedness, used in adjective, noun, and verb forms. English has adopted the word, too, as a modifier and noun, all for those warm and happy feelings when you’re enjoying simple things and company. Outside of Denmark, hygge is often marketed mainly as a way of curating a cozy, natural-but-minimal home aesthetic. Popular publications may recommend ways to achieve more hygge in your life, too, involving anything from reading a book beside the fireplace to enjoying a walk with your dog without your phone. But, don’t think those blissful Danes are above capitalism. Plenty of Danish travel companies use hygge to promote trips there too.